What's New in October 2018: Roman Holiday in Beijing, "Quantum Acupuncture", and More! You are at:Home»Life»Community»Local News»What’s New in October 2018: “Roman Holiday” in Beijing, “Quantum Acupuncture”, and More! When TCM achieves a “new and scientific” breakthrough, pizza bonanza arrives at Beijing’s tech hub, where to get bespoke cooking classes, and more! 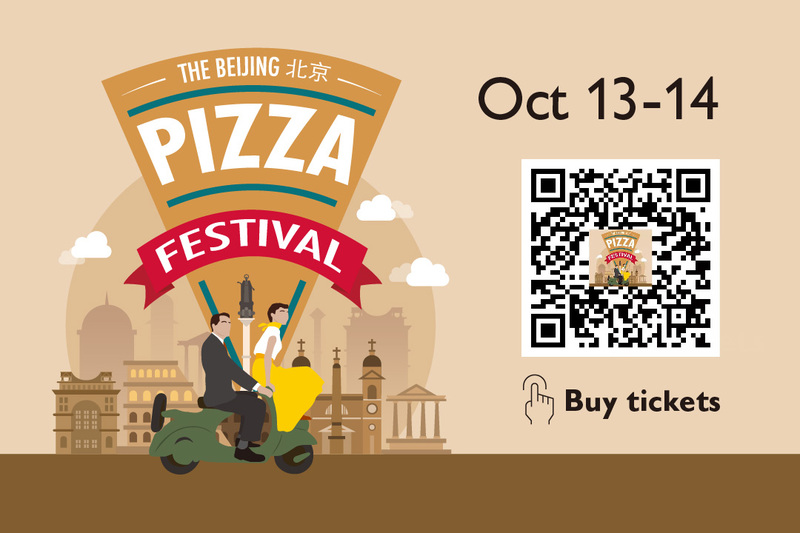 Take a break from the pace and noise of contemporary Beijing life, and indulge yourself in la dolce vita at this year’s Beijing Pizza Festival. The theme is “Roman Holiday”, alluding to the classic movie starring Gregory Peck and Audrey Hepburn, and celebrating the amazing contributions to human culture of Italy and its capital – including, of course, pizza. All Beijing’s best pie-slingers will be there, along with live bands, DJs, and other entertainment, at the festival’s new location in hi-tech Zhongguancun. Early bird tickets cost a fantastico RMB 20 for early birds, and are available from www.thebeijinger.com. Ride-hailing service Didi Chuxing has become an essential part of life in China’s cities, but the company faced a backlash in August when a second woman was murdered by her driver. Customers were particularly angry when it was revealed that a different female passenger had flagged up concerns about the driver the day before, but no action was taken. In response, Didi has implemented new safety features, and nighttime services were halted for a week last month while they were rolled out. Your Didi screen now has a button which connects you directly to the police, and the company is improving safety checks on drivers. In addition, audio from all Express and Premier rides will be recorded, so be sure you don’t say anything controversial to your driver! Good deeds don’t have to be dreary, with two upcoming opportunities to combine your charity work with delicious food and drink. On October 19, Roundabout will be celebrating ten years of fundraising with a Charity Gala Ball at the Hyatt Regency Hotel, featuring drinks, dinner, and dancing, as well as raffles and auctions. Tickets cost RMB 1100. Also marking a decade of good works, Chi Fan For Charity will take place this year on November 10, at top restaurants all across Beijing. For more information on how to take part in either or both events, visit our Events page. We’re all sad to be saying “so long” to writer, chef, and mom Pauline van Hasselt, whom we know is as popular with our readers as she is with her colleagues. She may no longer be “Big in Beijing”, but she’s still a huge personality, with a fabulous sense of humor. 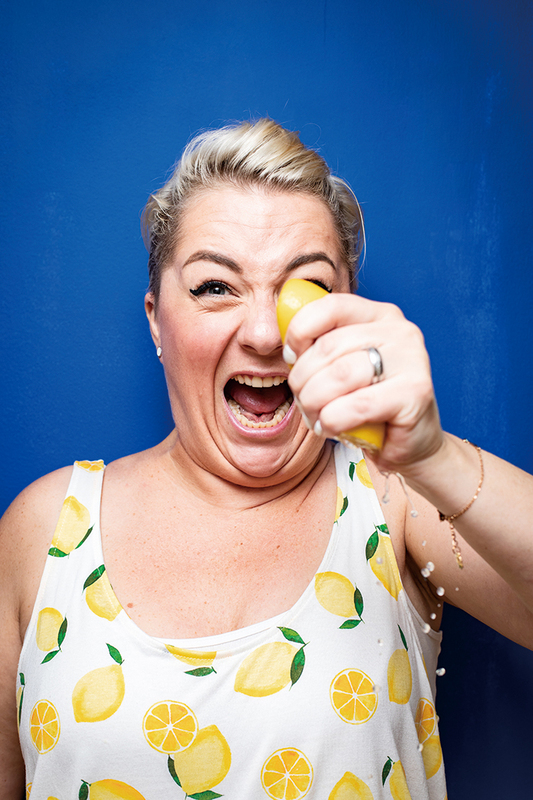 We wish her all the very best with her new venture, Pauline’s Cuisine, and we’re sure her cooking classes will be as much fun as the beijingkids office was when she was around! 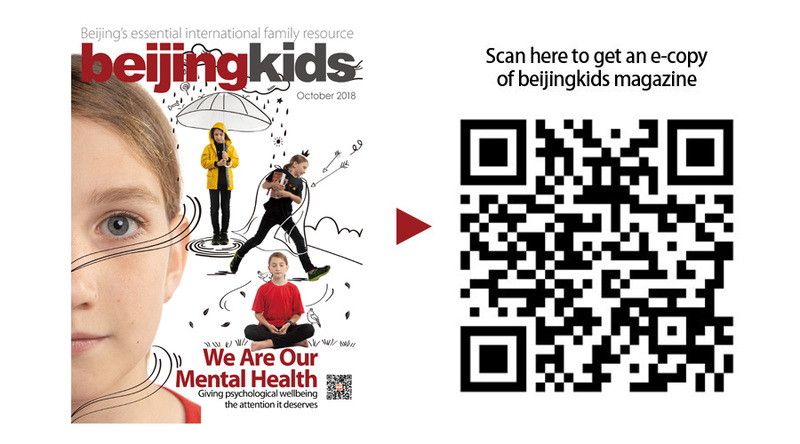 This article appeared on the beijingkids October 2018 Mental Health issue.